Prof Huang is a Professor of Mechanical Engineering at UQ. He joined UQ in 2005 as a Senior Lecturer, and was promoted to Associate Professor in 2008 and Professor in 2011. 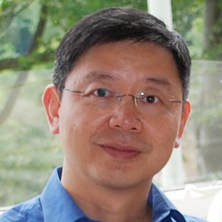 Prof Huang received his PhD from The University of Western Australia in 1996. He has won a number of prestigious research accolades, including ARC Future Fellowship (2011-2015), ARC Australia Research Fellowship (2005-2010), JSPS Invitation Fellowship (2009), Queensland International Fellowship (2012) and Singapore National Technology Award (1999). He has editorial roles in several international journals, including International Journal of Machine Tool and Manufacture (ERA A*). He was elected as a Fellow of International Society of Nanomanufacturing in 2012. He published over 190 refereed journal papers, 2 books and 4 book chapters. Prof Huang has established a leading group working on nanomechanics and nanomanufacturing, and founded a world-class laboratory at UQ that is dedicated to fundamental understanding of material removal mechanisms and mechanical characterisation of nanomaterials and nanostructures. Professor Han Huang’s research interests are nanomanufacturing, machining technologies, mechanical characterization of nanostructured materials and nanostructures and nanoparticle based lubrication. Prof. Huang began applied research on aerospace applications such as automatic overhaul of turbine vanes. His SMART robotic grinding/polishing system was employed by the aerospace industry for production, for which he was awarded the Singapore National Technology Award. Prof. Huang now specialises in microgrinding technology for applications such as photonics, solar panels, electronics and integrated circuits and even grinding at the nanoscale, several orders of magnitude smaller than those used in aerospace applications. Prof. Huang also researches on deformation mechanics and mechanical characterisation of micro/nano structures and emerging materials. His research has been continuously funded by industry and the research outcomes were adopted by semiconductor industries for improving their product quality. Advances in abrasive technology XII. Edited by Han Huang, Liangchi Zhang, Jun Wang, Zhengyi Jiang, Libo Zhou, Xipeng Xu and Tsunemoto Kuriyagawa Stafa-Zurich, Switzerland: Trans Tech Publications, 2009. Shimizu, Jun, Zhou, Libo, Yamamoto, Takeyuki, Ojima, Hirotaka, Onuki, Teppei and Huang, Han (2013) Mold pattern fabrication by nanoscratching. International Journal of Automation Technology, 7 6: 686-693. Huang, Huang and Ding, Jun (2009) Editorial. International Journal of Surface Science and Engineering, 3 1-2: 1-2. Wu, Y., Huang, H, and Zou, J, (2008) Deformation of monocrystalline silicon under nanoscratching. Advanced Materials Research, 41-42 15-19. 郭 力 Guo, Li, 李 波 Li, Bo, 盛晓敏 Sheng, Xiaomin and 黄 含 Huang, Han (2007) 工程陶瓷磨削温度研究的进展. Review of grinding temperature research for engineering ceramics. 中国机械工程第, 18 19: 2388-2393. Shang, Z. T., Huang, H., Sheng, X. M. and Mi, H. Q. (2007) An experimental investigation of ELID high speed grinding technology for silicon nitride ceramics. Hunan Daxue Xuebao, 34 12: 30-34. Huang, H and Yin, L (2006) An experimental investigation of fabrication mechanisms of optic fibre end faces using nano/microindentation and nanogrinding. International Journal of Nanomanufacturing, 1 1: 47-61. Huang, H, Winchester, K J, Dell, J M and Faraone, L (2006) Design and development of tunable filters for MEMS adaptive infrared detectors. Nanotechnology and Precision Engineering, 4 1: 38-45. Shang, Zhentao, Huang, Han, Wang, Shuqi, Xiong, Wanli, Sheng, X.iaomin and Mi, Haiqing (2006) Experimental study on truing of bronze-bonded diamond wheels with coarse abrasive grits using a novel hybrid method. Jingangshi yu Moliao Moxue Gongcheng, 156 5: 42-48. Huang, H., Hu, X. Z., Liu, Y., Bush, M., Winchester, K., Musca, C., Dell, J. and Faraone, L. (2005) Characterization of mechanical properties of silicon nitride thin films for MEMS devices by nanoindentation. Journal of Materials Science and Technology, 21 Suppl. 1: 13-16. Wang, S. Q., Huang, H.W., Shang, Z. T., Huang, H., Sheng, S. M. and HQ, M. (2005) An experimental investigation of effects of electrolytes on the formation of oxide films involved in ELID grinding. Precision Manufacturing and Automation, 164 4: 14-23. Fang, F. Z., Ramesh, K., Liu, X. D., Liu, Y. C. and Huang, H. (2005) Polishing micro holes of optical fibre ferrules. Nami Jishu yu Jingmi Gongcheng, 3 2: 146-150. # 周 立波 (Zhou, Libo), Huang, Han, # 清水 淳 (Shimizu, Jun) and # 江田 弘 (Eda, Hiroshi) (2000) Automatic robotic system for jet engine overhaul: Process development and enhancement for honeycomb repair. 精密工学会誌 (Seimitsu Kogakkaishi) [Journal of the Japan Society for Precision Engineering], 66 12: 1895-1900. Chen, X. Q., Gong, Z. M., Huang, H., Ge, S. S. and Zhu, Q. (1999) Development of SMART 3D polishing system. Industrial Automation Journal, 8 2: 6-11. Huang, H, Bush, MB and Fisher, GV (1997) A numerical study of effect of grain boundaries on elastic and plastic properties in nanocomposite materials. Cmmc 96 - Proceedings of The First International Conference On Ceramic And Metal Matrix Composites, Pts 1 And 2, 127- 1191-1198. Mu, Dekui, Huang, Han and Nogita, Kazuhiro (2012). Effect of temperature on the mechanical properties of Cu6Sn5 and (Cu,Ni)6Sn5. In: TMS 2012 141st Annual Meeting and Exhibition, Orlando, United States, (). 11-15 March 2012. Huang, Han, Xie, Hongtao, He, Anshun and Lu, Mingyuan (2012). Mechanics and technologies for machining nanostructured thin film bilayers and multilayers. In: 3rd International Conference on nanoManufacturing: nanoMan2012 proceedings. 3rd International Conference on nanoManufacturing (nanoMan2012), Tokyo, Japan, (226-231). 25-27 July 2012. Crichton, Michael L., Raphael, Anthony P., Chen, Xianfeng, Donose, Bogdan C., Huang, Han and Kendall, Mark A. F. (2011). The mechanical properties of freshly excised skin layers and their relevance to micro-medical device design. In: Skin Vaccination Summit 2011, Washington DC, USA, (). 12-14 October 2011. Crichton, Michael, Donose, Bogdan, Chen, Xianfeng, Huang, Han and Kendall, Mark (2010). Determining Sub-cellular Scale Elastic Moduli within Individual Skin Layers using AFM Indentation; and Their Importance for Targeted Drug Delivery. In: 6th World Congress of Biomechanics, Singapore, (). 1-6 August 2010. Sumitomo, Taro, Huang, Han and Zhou, Libo (2010). Ductile regime deformation and material removal in nanoscale multilayers of thin film amorphous silicon solar cells. In: 4th CIRP International Conference on High Performance Cutting (HCP 2010). HPC 2010: 4th CIRP International Conference on High Performance Cutting, Gifu, Japan, (95-98). 24 -26 October 2010. Huang, H., Wang, B. L., Wang, Y., Wu, Y. Q., Zhou, L. and Zou, J. (2008). Direct evidence of a nanosized high pressure phase of silicon during nanogrinding. In: International Conference On Nanoscience and Nanotechnology (ICONN 2008), Melbourne, Australia, (). 25-29 February 2008. Tsukamoto, H., Dong, Z., Huang, H., Nishimura, T. and Nogita, K. (2008). Nanoindentation characterization of intermetallic compounds formed at Sn-Cu (-Ni) solder/Cu substrate interfaces. In: Materials and AustCeram Conference (MAC 2009), Gold Coast, Queensland, (131-137). 1-3 July 2009. Irwan, R. and Huang, H. (2007). Mechanical properties and removal characteristic of cemented tungsten carbide with fine microstructure studied by nanoindentation and nanoscratch. In: Martin Veidt, Faris Albermani, Bill Daniel, John Griffiths, Doug Hargreaves, Ross McAree, Paul Meehan and Andy Tan, Proceedings of the 5th Australasian Congress on Applied Mechanics (ACAM 2007). 5th Australasian Congress on Applied Mechanics (ACAM 2007), Brisbane, Australia, (240-245). 10-12 December, 2007. Wang, B., Huang, H., Zou, J. and Zhou, L. (2007). Nanomechanical properties and nanostructure of CMG and CMP machined Si substrates. In: ISMTII 2007. 8th International Symposium on Measurement Technolgy and Intelligent Instruments, Sendai, Japan, (413-416). 24-27 September 2007. Yin, L. and Huang, H. (2007). Surface Topgraphy in mechanical polishing of 6H-SiC (0001) substrate. In: Proceedings of SPIE - Microelectronics, MEMS, and Nanotechnology 2007. Microelectronics, MEMS, and Nanotechnology 2007, Canberra, Australia, (1-10). 5-7 December 2007. Huang, Han and Kuriyagawa, T. (2006). Microgrinding aspherical mould inserts off tungsten carbide. In: Srivatsan, TS and Varin, RA, Processing and fabrication of advanced materials XV : proceedings of the 15th international symposium. 15th International Symposium on Processing and Fabrication of Advanced Materials, Cincinnati OH, (32-46). 15-19 Oct 2006. Huang, H. and Kuriyagawa, T. (2005). Effect of microstructure on material removal mechanisms in nano/micro grinding of tungsten carbide mould inserts. In: Japan Society of Mechanical Engineers, The Third International Conference on Leading Edge Manufacturing in 21st century (LEM21). The Third International Conference on Leading Edge Manufacturing in 21st Century, Nagoya, Japan, (877-882). 18-22 October 2005. Huang, H., Winchester, K., Antoszewski, J., Nguyun, T., Martyniuk, M., Walmsley, B., Liu, Yinong, Hu, X. Z., Musca, C. A., Dell, J. M. and Faraone, L. (2004). Evaluation Of Elastic Modulus And Stress Gradient Of PECVD Silicon Nitride Thin Films. In: Atrens, A., Boland, J. N., Clegg, R. and Griffiths, J. R., Structural Integrity and Fracture International Conference (SIF'04), Brisbane, Australia, (149-154). 26-29 September 2004. An integrated system for characterisation of mechanical behaviour of bio- and nanomaterials at micro and nano scales in Queensland (ARC LIEF Grant administered by QUT). Micro-electromechanical Systems (MEMS) and Nano-electromechanical Systems (NEMS) Technologies for Temperature Sensitive Semiconductors and Smart Materials (ARC DP administered by UWA).